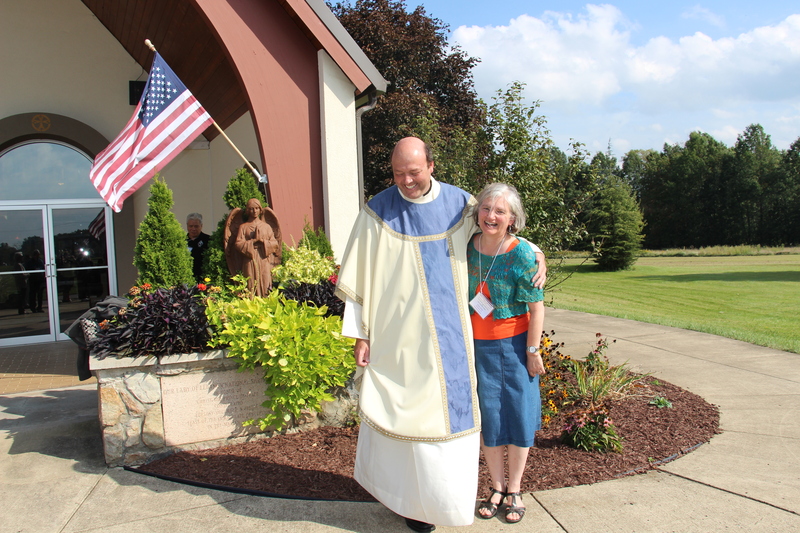 The Holy Family Institute Triduum in Ohio this year was a tremendous success. 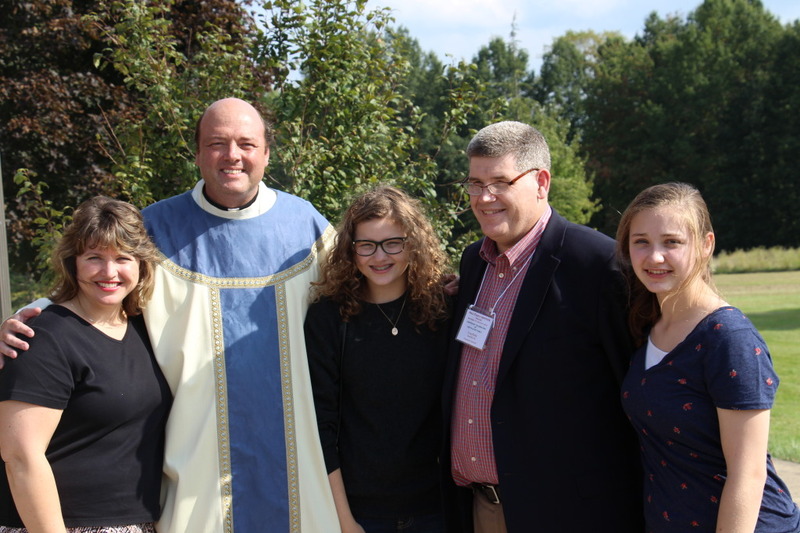 The Three days of prayer and family fellowship were emceed by Fr. Matthew Roehrig, SSP and talks and homilies on Friday and Saturday were given by Fr. 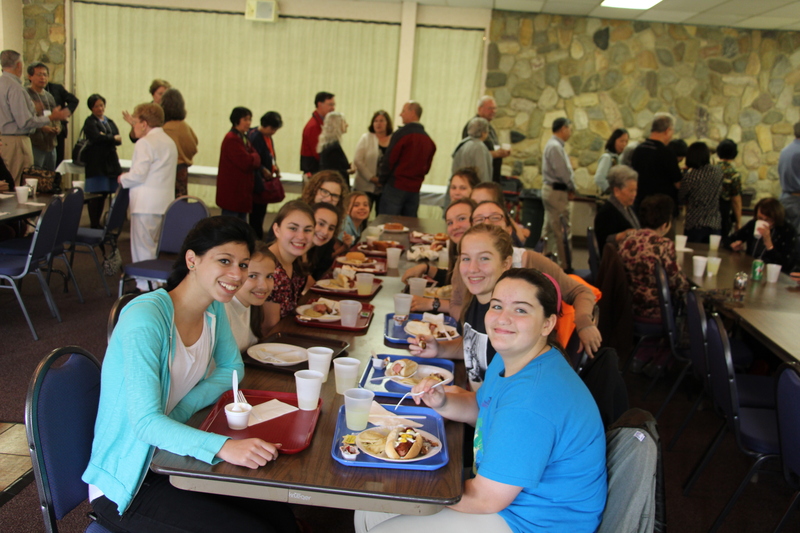 Michael Harrington, IGS and the talk and homily on Sunday was given by Fr. Jeffrey Mickler, SSP. In his opening talk, Fr. Michael reminded the HFI members that their vows are not private, hidden professions. 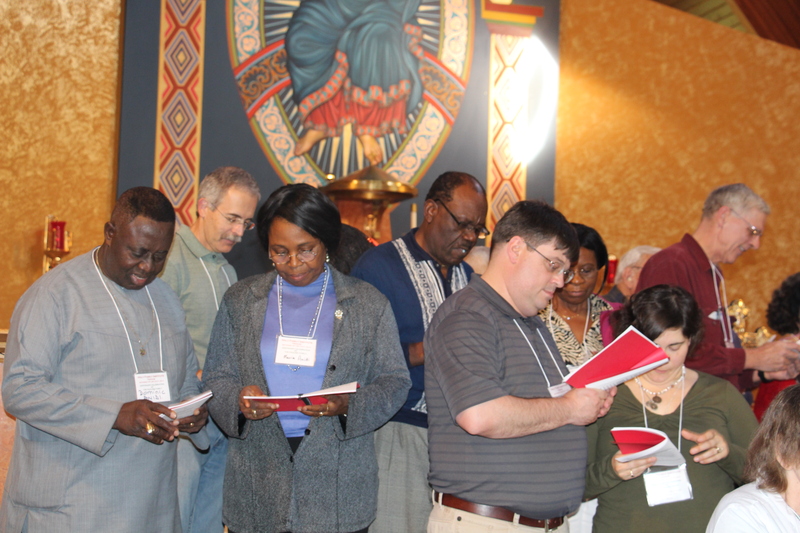 Each of the members are called by Christ to bear witness to the bountiful gifts they have received. Each member is called to be a signpost pointing to the eternal kingdom. And, each member is called to make themselves known as Pauline Family members. Fr. Michael, called to mind the words of Fr. 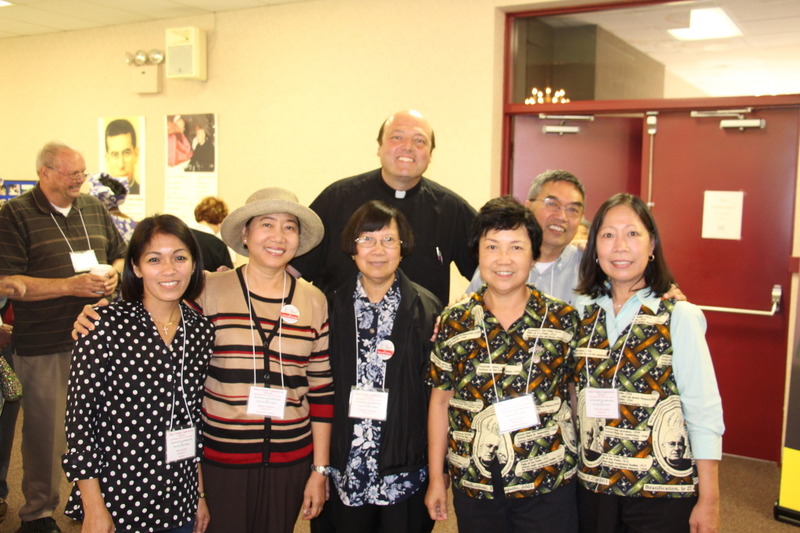 Matthew Roehrig, provincial superior of the Society of St. Paul, who earlier in the year emphasized the need for the Pauline Family to unite together to share the Gospel message and challenged the Society of St. Paul, Daughters of St. Paul and Sister Disciples of the Divine Master to come to know the members of the Pauline Institutes. In turn, those in the Pauline Institutes are to make themselves known to the rest of the Pauline Family. During his first talk, Fr. 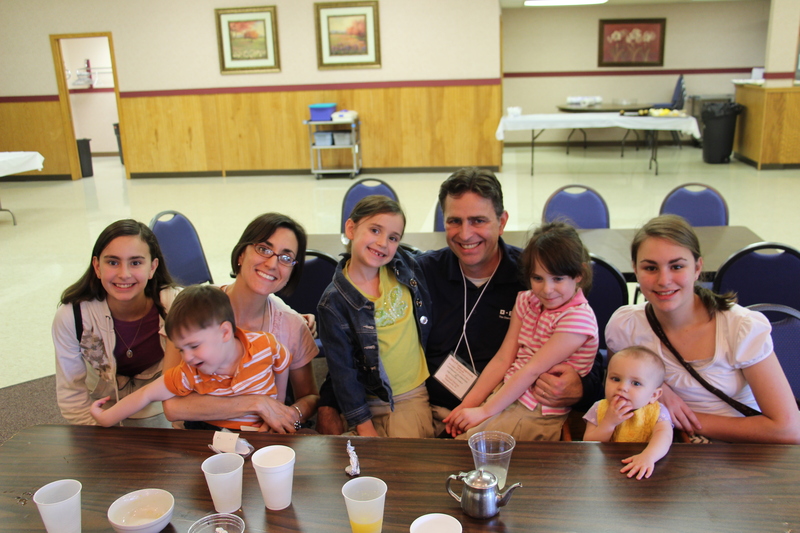 Michael imparted the characteristics of the New Evangelization and how it applied to families. He said, “The Family is the best place to impart human and Christian education, and thus remains the greatest ally of priestly ministry and Religious in their work of communicating the Gospel. He also spoke about Pauline witness using the models of St. Paul and Blessed James Alberione. He challenged members to open wide the doors to Christ and not settle for mediocrity. He said, “we need to be inspired by a new Pauline missionary impulse. We need to rediscover the enthusiasm and outward movement of men like St. Paul and Blessed James. Fr. Michael, in his third talk, challenged HFI members to get more involved with Evangelization through Social Media. 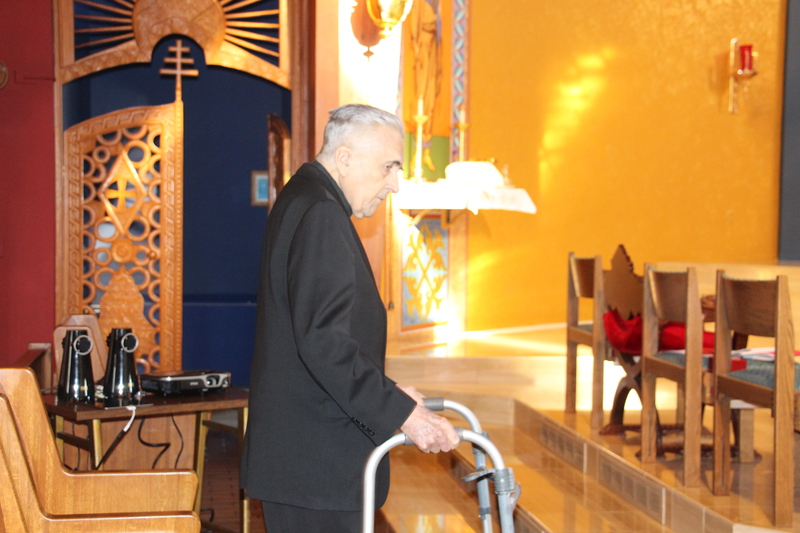 He quoted Blessed James Alberione, ” The word of God will endure. The Divine Master lives in the Church. Many souls hungry for light have found God in a painting. The broadcasting studio is our church. The Screen, the machine our pulpit. We need to pick up the camera and microphone. We need to speak in the language of our own time. He then spoke of the media of our present time…facebook, twitter, youtube, tumblr, pinterest, flicker, etc. He quoted the second vatican council, “All members of the Church should make a concerted effort to ensure that the means of communication are put at the service of the multiple forms of the apostolate without delay and as energetically as possible” (Second Vatican Council, Decree on the Means of of Social Communication). In a few days, we are going to publish all Fr. 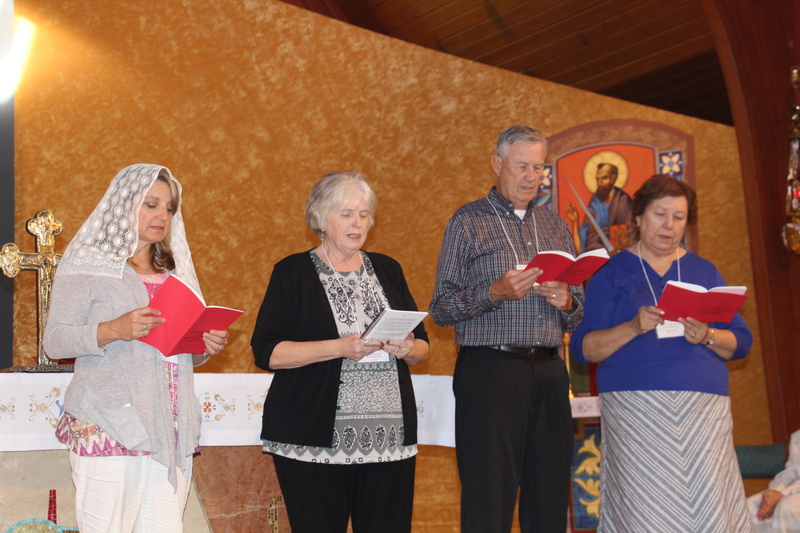 Jeff Mickler’s pictures from the HFI Triduum. The slideshow above came from Fr. Michael’s camera.